Standing on your head may not sound like the most comfortable thing in the world, but the benefits that come from practicing yoga inversions can be life-altering. Inversions pump more oxygenated blood to the brain, increasing alertness and focus (at least in the short term). Being upside down also drains lymph and lactic acid out of your lower body, speeding up recovery and providing some instant and long-term relief for aches and pains. Inversions can be some of the most visually stunning yoga poses to perform, and while they are certainly challenging, they are also remarkably accessible to those with tighter lower body musculature. But which ones are the most demanding? 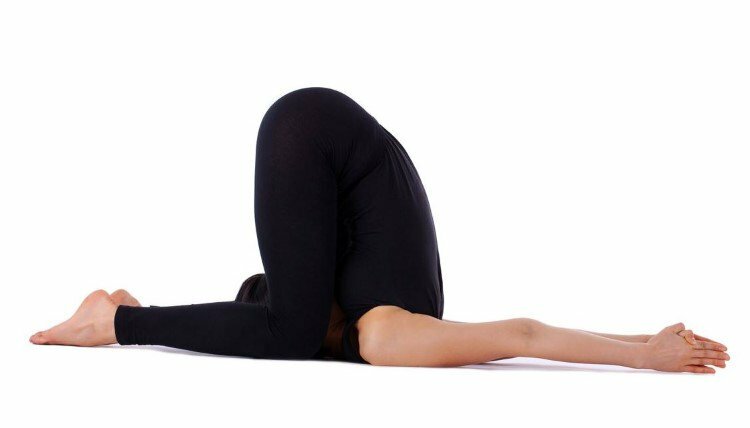 Here are the five most challenging yoga inversions. This one may look easy compared to the others ones on this list, but that only speaks to how hard the following poses are. 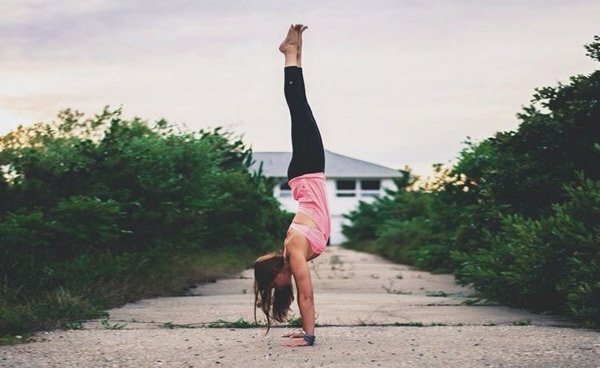 Handstand’s main requirement is core stability, and shoulder strength and awareness..especially for variations like straddle, Lotus, and others. Keeping your entire body in a straight line while upside down is something to work toward slowly, while using a wall. Work on shorter, less challenging inversions as you work your way up to Handstand, and make sure your wrists aren’t bearing the brunt of the work here by pulling the center of your palms up off the floor as you engage your whole hand, including your fingertips. 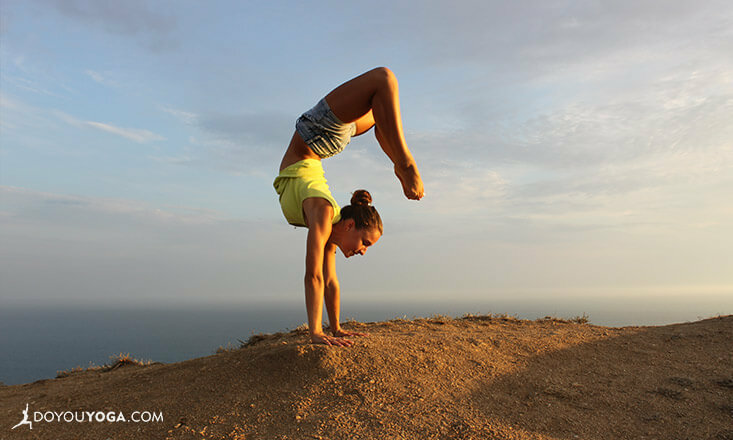 Quite possibly one the hardest yoga poses in general, Scorpion makes the list because of its intense demand on all of your yoga skills: strength, balance, AND flexibility. Whether performed on the hands or the forearms, this pose requires powerful core strength, shoulder strength and flexibility, and extreme back flexibility. It’s best to work toward this pose slowly, consciously, and with the help of a partner, teacher, wall, or all three. This is another inversion that asks a lot of your back flexibility. A creative combination of forearm stand and wheel, this inversion is a good one to put in between other poses, as it can be a wonderfully challenging stepping stone between a forward bend and a back bend. Inversions help you flow more fiercely, and the spinal strength and flexibility required here is truly impressive. If you thought plain old handstand looked hard, look again. This version of the pose ups all of the intensity by asking you to complete the pose with only your fingertips touching the ground. Some practitioners—mostly Tibetan monks, in my experience—can practice this pose with only one hand or even just two fingers supporting their entire body weight. This of course is exceptional, but any version of the pose that brings the palms off the floor engages so much more of your upper body—your whole hand, forearm, and up into the chest and biceps. It’s important to try and not strain your neck in a pose like this! Keep your shoulders away from your ears to try and keep the tension at bay. This one just looks plain silly, but it’s an extension of Plow pose, and one you normally would come into after hanging out in shoulder stand for a little bit. It’s an incredible stretch for the entire back, and much more of a flexibility challenge than a strength one. Getting your knees all the way down to your shoulders is a great way to check in with hip and lower back flexibility with a little help from gravity. The challenge here is to continue to be able to breathe deeply and not collapse through the spine as you essential bend your body completely in half...upside down. Poses as basic as Downward-Facing Dog can still provide you with many of the benefits that other more challenging inversions offer, and can be just as stimulating. Try an inversion when you need a little pick-me up during the day, and see if you can work on your strength, balance, and flexibility to work toward any of the more difficult ones on this list. (Or work toward a more intermediate inversion with this step-by-step). Let us know in the comments your favorite way to hang out upside down!